It’s Halloween! 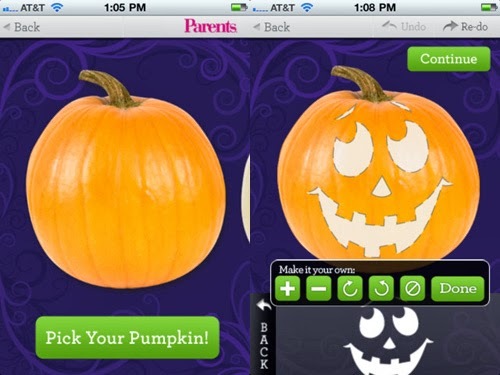 If you’ve got the costumes ready, the decorations up and the treats ready to give out, keep your little monsters occupied with some Halloween apps while they’re counting down to trick or treat time. 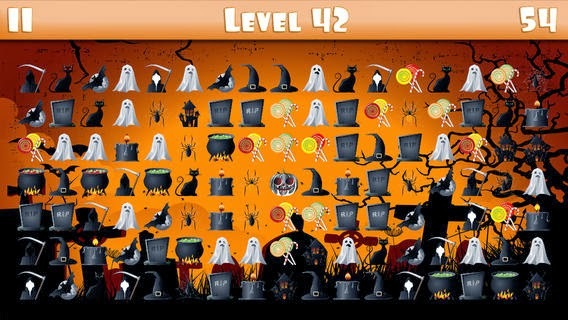 There’s apps for creating fun sound effects and lots of games. But I've only included ‘fun’ games – not the gross zombie killing ones. This list also only features FREE apps. You play this game as Dracula. You have a bow and unlimited arrows, with which you have to aim and shoot the pumpkins on top of Frankenstein’s head. 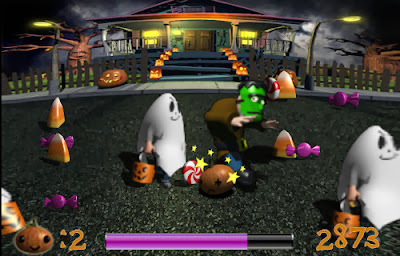 In this game you have to guide the pumpkin to as much candy as you can while trying to avoid bumping into the trick-or-treaters. It starts out easy, but gets more challenging. Brilliant 3D animation and funny sound effects – great for all ages. The mess free way to carve a pumpkin! Choose from five different pumpkin styles, then ‘carve’ your own design or choose from the library of crazy eyes, noses and mouths. Pick a sound, set the timer, hide your phone and spook your family and friends! It’s an all-out battle between pumpkins and monsters! 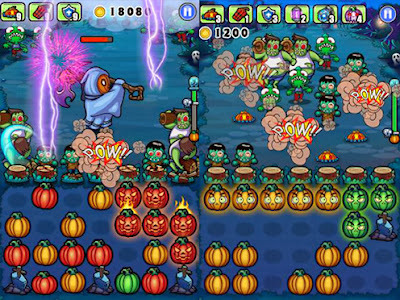 Simple controls where you flick your pumpkins to attack the monsters. 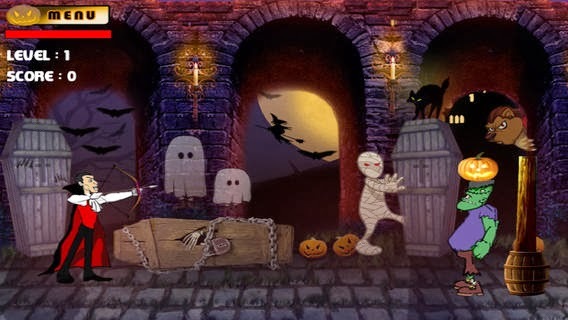 Story mode with up to 90 levels and six different worlds to play in – endless fun! A search and find adventure for Halloween - Find the pumpkin and try to keep going as far as you can! If you've been following Techie Mum for a while you’ll know that I love the apps from ABC Reading Eggs. They were the first I installed when I bought my iPad, and they are still my favourites for extra homework for my youngest son (and his favourites too!). 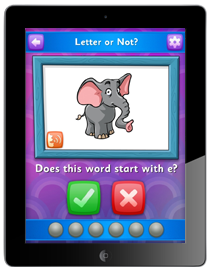 ABC Reading Eggs has different apps for pre-schoolers through to older kids. Today I’d like to introduce you to one for the younger kids, 3 and up – especially pre-schoolers and those just starting school. 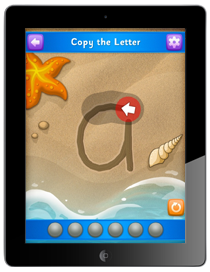 Eggy Alphabet teaches your child to identify the letters of the alphabet and write them in both upper and lower case, while developing phonemic awareness and letter sound recognition – just what’s needed for early reading success. This is all done in a fun way with gorgeous colourful animations, 18 cute Egg Critters to unlock and hatch, fun sound effects and music and Golden Egg rewards to keep them motivated. 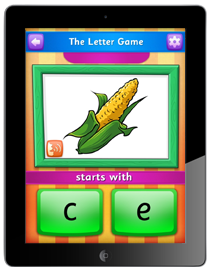 There are four main alphabet games, with a total of 208 activities, plus The Letter Game. Eggy Alphabet is suitable for 3 years and up, with three difficulty levels. You can set up multiple accounts so that more than one child can use it, and you can track each child’s individual progress. 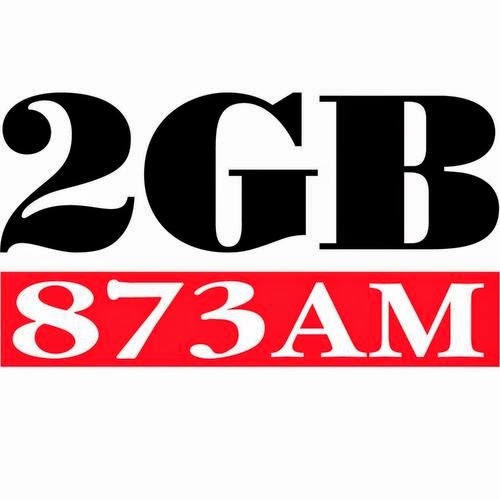 There’s also a choice of accents – Australian, English and US. Eggy Alphabet is available for iPhone, iPad and Android for $2.99. For iPhone and iPad you can download from iTunes here. For Android you can download from Google Play here. Yesterday I wrote about the new iPad and iPad mini that Apple just introduced (if you missed it pop over here). There’s more than just new iPads coming – Apple also has something new for the Mac users too. 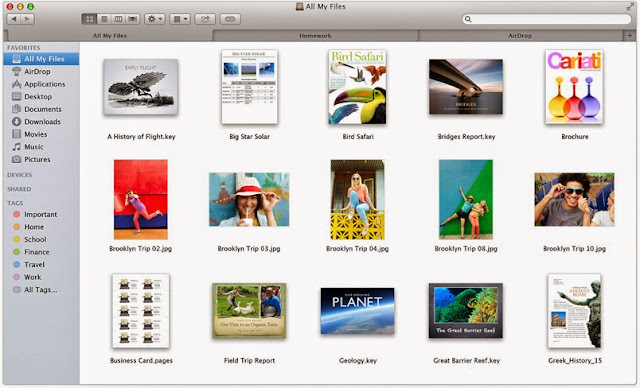 Multiple Finder tabs – similar to your internet browser. You can now consolidate multiple finder windows into one. You can ‘Tag’ your files now to make it easier to find related files. Great for keeping track of multiple files for one project - tag your Keynote presentation, your Pages report and the list you created in Numbers – click their tag name in the Finder sidebar and all three files will appear together in one Finder window. Notifications now has Quick Reply for Mail and Messages, which means you can reply directly from the alert – no need to go to the app. OS X Mavericks is available now for your post-2007 Apple desktop and laptop. It’s free from the App Store, as long as you’re running OS X Snow Leopard or later. If you’re still running Leopard, you’ll need to upgrade to Snow Leopard first, and you’ll have to pay $20.99 for that upgrade. Apple announced some new products just a few hours ago. First the iPad news…. On 1 November you’ll be able to buy the fifth generation iPad, called the iPad Air. So, what’s different? It’s just under 2mm thinner (from 9.4mm down to 7.5mm), and slightly lighter. The Pixel resolution is the same as the iPad 4, but the performance is double that of the iPad 4, and 8 times that of the first iPad. There are two microphones which will improve the sound quality of FaceTime calls and video recording – and important for those using dictation and VoiceOver (I’ll be writing about accessibility features on the iPad very soon). Two antennas and new technology mean the iPad Air will be twice as fast as the iPad 4 over Wi-Fi. There has been no change in the rear camera – still 5 megapixels, but there’s a new FaceTime HD front camera. The battery should still last 10 hours. 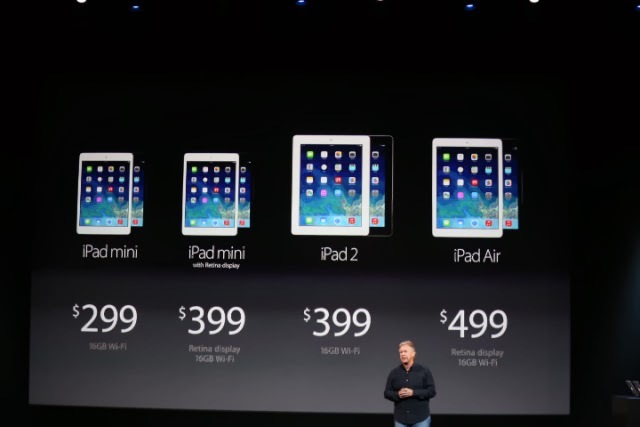 Pricing is the same as the past iPads, starting at $499 for 16GB. The iPad 4 will be discontinued, but you’ll still be able to buy the iPad 2, for $100 less that the new one. To go with your new iPad you’ll be able to buy a new Smart Cover. Instead of folding into four sections it will fold into three to create a triangular stand. It also features hinges that match the curve of the new iPad. You’ll pay $39 for a cover that protects just the front, or $79 to cover the back as well. The other announcement from Apple is a new iPad Mini with Retina display. This will be available later in November. You’ll still be able to buy the original iPad mini, but it should be $100 cheaper, with the new iPad mini at $399 for the 16GB Wi-Fi model. Included now with the purchase of any new Mac or iOS device will be all iWorks and iLife apps for free. iWorks is Apple’s productivity suite of Pages, Keynote, and Numbers (equivalent to Word, PowerPoint and Excel) which have all been updated for iOS7. iLife includes a redesigned iMovie, iPhoto and GarageBand. Tomorrow I’ll tell you about the other new products from Apple. Last week my laptop battery started flashing a warning recommending that I replace my battery. I knew it was on its way out – it was lasting less and less time between charges and the day before it had reached the stage where if it wasn't plugged into the power it would drain in about 10 minutes. Not a problem, all I needed to get a new battery was the model of my computer and the model number of the battery. I ordered a new battery online which was delivered within 24 hours. Amazing what a difference a new battery can make to the functioning of your computer. Back to super quick again. Having a new battery got me thinking about what I could have done differently to make my old battery last longer – it was about three years old. A bit of research produced some interesting facts, which everyone who has portable devices (that means everyone!) needs to know. They're generally much lighter than other types of rechargeable batteries of the same size. More energy can be stored in a Lithium-ion battery than other types of batteries. They hold their charge. A lithium-ion battery pack only loses about 5% of its charge per month, compared to a 20% loss per month for standard NiMH rechargeable batteries. They have no memory effect, which means that you don’t have to completely discharge them before recharging. Lithium-ion batteries can handle hundreds of charge/discharge cycles. They start degrading as soon as they leave the factory – whether you use them or not. They are extremely sensitive to high temperatures - heat causes lithium-ion battery packs to degrade faster. If you completely discharge a lithium-ion battery, it is ruined. There is a small chance that, if a lithium-ion battery pack fails, it will burst into flames. Taking these features into account, what can I do to make sure my new laptop battery lasts as long as possible? Fully charge new lithium-ion batteries for the first three cycles. New Lithium-ion batteries work best if they are fully charged, and drained for the first three charging cycles. When you get a new battery, or new device, use it until it is completely drained, then charge it fully. Then do the same another two times. After those first three charging cycles you should charge your battery occasionally, for short periods. Don’t wait until it has completely drained. Your battery is capable of a finite number of charge/recharge cycles. A charging cycle means using all of the battery’s power, then recharging it to 100%, but that doesn't have to mean a single charge. For example, you could use your iPad for five hours one day, using half its power, and then recharge it fully. If you did the same thing the next day, it would count as one charge cycle, not two. Each time you complete a charging cycle, your battery’s capacity is slightly reduced, but it will still take hundreds, up to thousands (depending on the device), of charging cycles before it drops to a noticeable level. For example, an iPad battery should last 1000 full charge and discharge cycles before it drops to 80% of its original capacity. 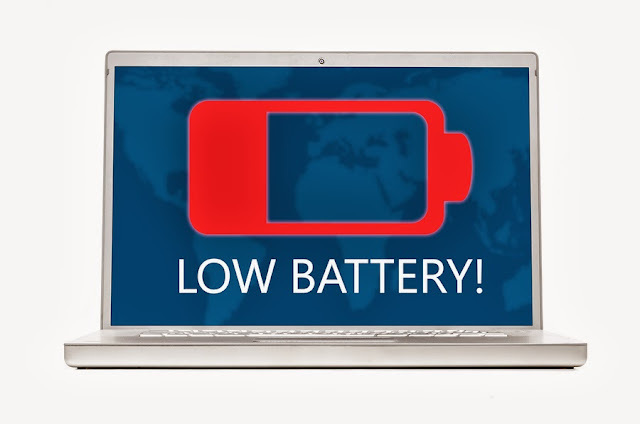 If you need your laptop plugged in for a length of time, remove the battery (if you are able to). I upgraded my laptop to Windows 8.1 on Friday, but I was going out for the day, so I plugged the laptop into the power, removed the battery, and left it to do the upgrade on its own. If you are not going to use your device for a few months store it with 50% charge. If you leave a battery with no charge for a few months it may not be capable of holding any charge again. Also, if you leave a battery fully charged for an extended period the battery can lose capacity. Keep it cool. Lithium-ion batteries don’t like heat. So don’t leave your devices in a hot car, or sitting in the sun all day, or you might find it has died when you return. But don’t keep them too cool – freezing temperatures aren't good for them either. Don’t be too rough with them. Impact can damage the battery’s internal cell. Finally, if you do replace your device’s battery remember to dispose of the old one correctly. Apple stores will replace and recycle your old batteries, and most local Councils provide e-waste collection and recycling points. Lithium-ion batteries cannot be put in your normal household garbage. This is my new favourite app! I started using it a few weeks ago, and I wouldn’t know what to do without it now. Morning is an iPad app aimed at getting you organised by showing you everything you need to start the day in the one place - your appointments for the day; your to dos; the weather, so you know what to wear; how long it's going to take you to get to work; the latest news headlines, and more. For an app with just a single screen it sure does a lot. Morning has six customisable panels and you choose what will appear in each panel from eight options. If you choose Events for one of your panels, Morning will link into your calendar/s (you choose which calendars) and display your appointments for the day, and birthdays too if you have them appearing on your calendar. If you choose Reminders for a panel, Morning links to Tasks and Reminders and displays those for you. 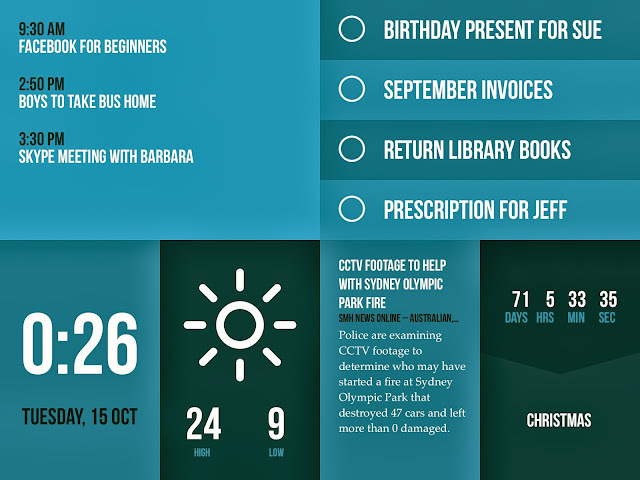 You can tick off your tasks as you go and it syncs back to your Tasks and Reminders on your iPad. You can also choose to only show the current day’s reminders if you prefer. News – you choose the source/s (newspaper website or online news site) – as long as the site has a news feed you can select it. You’ll see an updating feed of current news stories with a link to the site if you want to read more. You're not stuck with the arrangement of tiles; you can't actually move them around, but you can change what each one displays. 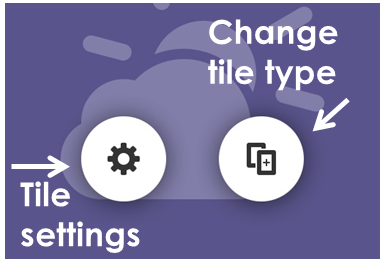 If you'd like to change a tile, just tap the tile to display the settings buttons, change the type of tile then add the settings for that tile. You also have a choice of five colour schemes – blue, green, hot pink, orange and purple. Morning is available through the App Store for $2.99. Let me know which panels you use if you use Morning or if you decide to give it a try. 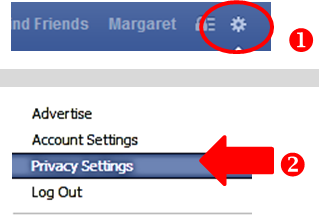 It’s time to check your Facebook privacy settings again! Facebook have expanded Graph Search to allow users to search all public status updates, photo captions, and comments. Previously, Graph Search only allowed users to search for people, places, photos, and interests. Here's something else scary - if you've been tagged in posts or photos on your Timeline they will appear if someone searches for your name. This is because at the same time Facebook enables Graph Search to search your posts, it has also removed the privacy setting that lets you control Who can look up your Timeline by name. Won't this all be useful for prospective employers to check what job applicants have been up to??!! Graph Search can only search your PUBLIC posts so if your privacy settings are at Friends or better then you should be OK.
What about your old posts? When you first open a Facebook account your posts are all Public, so how long after you started on Facebook did you change your privacy settings? 3. In the Who can see my stuff section, find Limit the audience for posts you’ve shared with friends of friends or Public? 5. When you click on Limit Old Posts, the privacy settings for any old posts that were set as friends of friends or Public will be changed to Friends. Then you’re done – all your old posts will no longer appear in Facebook’s Graph Search. This new feature of Graph Search is slowly being rolled out, but even if you don't have access yet, those who do can still search your posts.